Crews worked on Monday Jan. 21 to stabilize a new sinkhole that opened up at Lisa Drive, a suburban development in West Whiteland Township, Chester County where Sunoco operates its Mariner East pipelines. A sinkhole on Lisa Drive in West Whiteland Township, Chester County revealed part of the Mariner East 1 pipeline on Sunday Jan. 20. 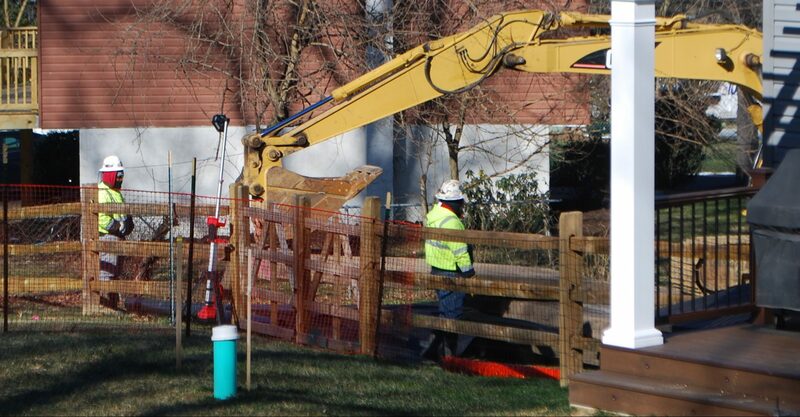 Energy Transfer said late Monday it would “purge” a section of its Mariner East 1 pipeline of natural gas liquids while filling new subsidence that opened up on Sunday on a pipeline construction site at Lisa Drive in Chester County’s West Whiteland Township. 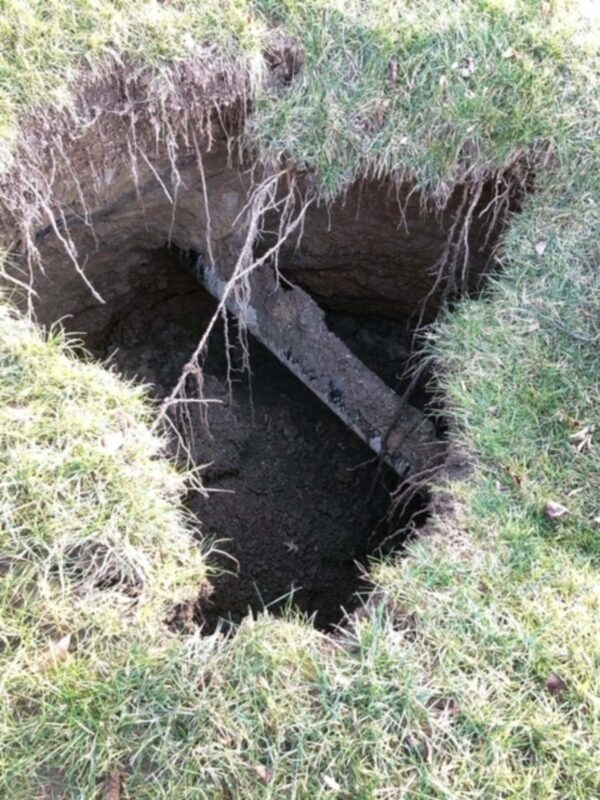 The planned action followed the appearance of a new sinkhole at the suburban development where sinkholes in early 2018 prompted regulators to halt the operation and construction of the Mariner East pipelines because of concerns about public safety. The PUC said in a news release Monday night that its investigation and enforcement bureau will have to approve a re-start of ME1. On Sunday, Sunoco/Energy Transfer confirmed the existence of the hole at Lisa Drive, where critics argue the geology is too unstable to support new and existing pipelines that are part of the controversial Mariner East project. The new hole exposed Mariner East 1, a 1930s-era pipeline that has been repurposed to carry natural gas liquids along the same route where two new Sunoco pipelines are being built. As a community group and two Chester County state legislators called for the pipeline project to be shut down because of public safety concerns, Sunoco said Monday it is working with state officials to ensure the stability of the ground at Lisa Drive. Rich Kuprewicz, a pipeline expert who has consulted with some communities on the Mariner East project, said the planned purging of NGLs was not a major operation. He said the company would likely use water or nitrogen to displace the NGLs further down the pipeline so that it can inspect the part of ME1 that is running through geologically-suspect ground. But some pipeline safety campaigners worry that Sunoco could purge NGLs by flaring the gases from valve stations, some of which have been built near residential areas. The new sinkhole fueled concerns about the stability of terrain where pipelines are built, especially after the explosion of another Energy Transfer pipeline in Beaver County in September, an incident that company officials said may have been triggered by a landslide after heavy rains. It said in a statement on Sunday that there was no impact to public safety and the incident had been closed, but Sunoco and the PUC would continue to investigate. Nils Hagen-Frederiksen, a spokesman for the Pennsylvania Public Utility Commission, said Sunday that a safety engineer and other officials were en route to “the site of an incident” on Lisa Drive. The PUC is jointly responsible for pipeline safety, along with the federal Pipeline and Hazardous Materials Safety Administration, and has authority from PHMSA to enforce the federal regulations. 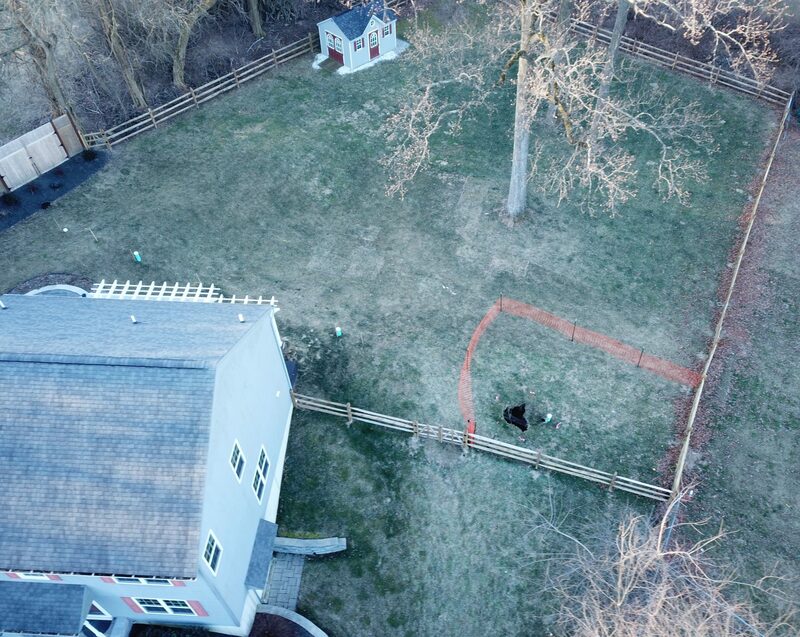 A new sinkhole that opened up on Sunday was surrounded by orange plastic fencing outside a suburban home at Lisa Drive in West Whiteland Township, Chester County. On Monday morning, with the temperature around 10 degrees, workers drove a backhoe into the site where the sink hole was surrounded by orange plastic fencing. John Mattia, whose house is about 60 feet from the new sinkhole, said it undermines any confidence he may have had in Sunoco’s ability to build and operate the pipelines safely. Lisa Drive became a cause celebre for Mariner East opponents in early 2018 when sinkholes opened up in the backyards of five houses where Sunoco is building the new pipelines on an existing right of way. The earlier sinkholes also exposed a section of Mariner East 1, prompting a PUC judge to shut down the pipe and halt construction of the two new lines on the grounds that there was an “imminent risk” to the public. After the earlier sinkholes were filled, the full PUC later allowed ME1 operation to resume, but upheld the ban on new pipeline construction at that location until lifting it in August. State Sen. Andy Dinniman, (D-Chester), a persistent critic of the Mariner East project, said the new sinkhole undermines confidence in the PUC after it allowed the project to resume at Lisa Drive last summer, overturning a judge’s ruling in response to a petition filed by Dinniman. He said the entire Mariner East project should be shut down pending an independent review of Sunoco and the PUC’s oversight of it. Responding to Dinniman, the PUC’s Hagen-Frederiksen said officials have been investigating the new sinkhole on-site since Sunday, and said there are “numerous” other complaints against Mariner East before the PUC. “The Commission’s actions in each of those cases will be guided by the facts, the evidence and the law,” he said. Del-Chesco United for Pipeline Safety, a community group, said the new sinkholes are the latest evidence that the pipeline project is a threat to public safety. State Rep. Carolyn Comitta, D-West Chester, also called for a Mariner East 1 shutdown. Critics say the Mariner East pipelines pose a grave risk to public safety because of the highly volatile nature of the material they are carrying. Last week, the PUC upheld a judge’s denial of an emergency request by seven residents of Chester and Delaware Counties to halt both the operation of Mariner East 1 and the construction of Mariner East 2 and 2X until public safety can be assured. The plaintiffs had asked for the emergency shutdown while the judge reviews their request to permanently shut down the lines. Mariner East 2 was planned as a 20-inch pipeline. But because the full length of the 20-inch line will not be finished until 2020, the company said, it would join three different pipelines to create a hybrid through which natural gas liquids will flow temporarily. The company says it is calling that hybrid line Mariner East 2. It went into service in late December, Sunoco said.